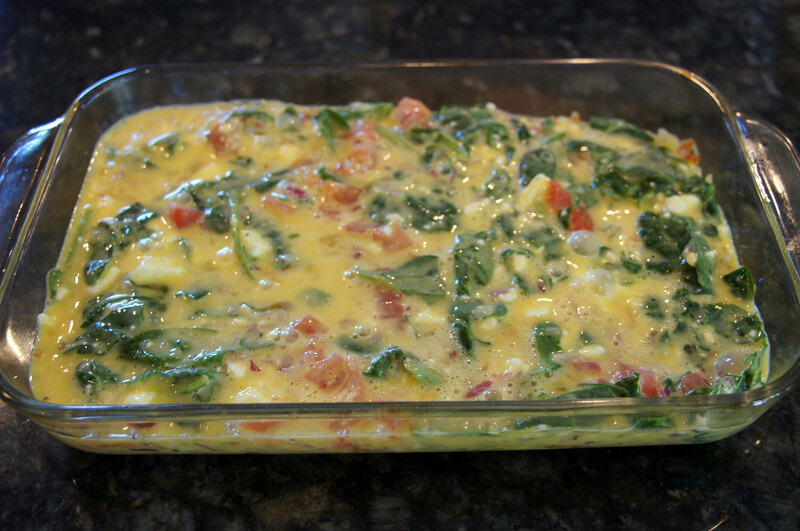 I created this quick breakfast casserole one day when I went to make breakfast for my family and I was short on ingredients to make everyone’s favorite request. 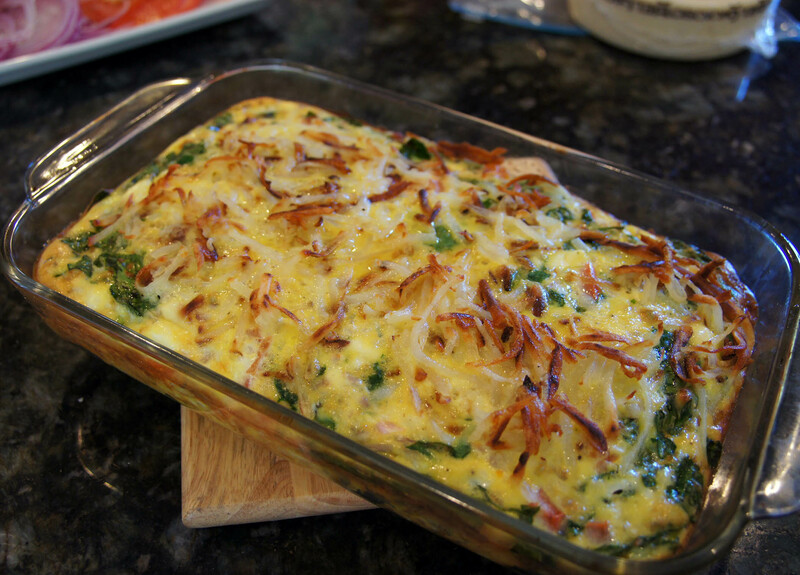 It has become one of my family’s favorite dishes and is often a staple for mother’s and father’s day brunches. Each time I make it I experiment with different vegetables and cheese combos. One of our favorite is spinach, mushroom and feta. This particular one is spinach, tomato and mozzarella cheese. 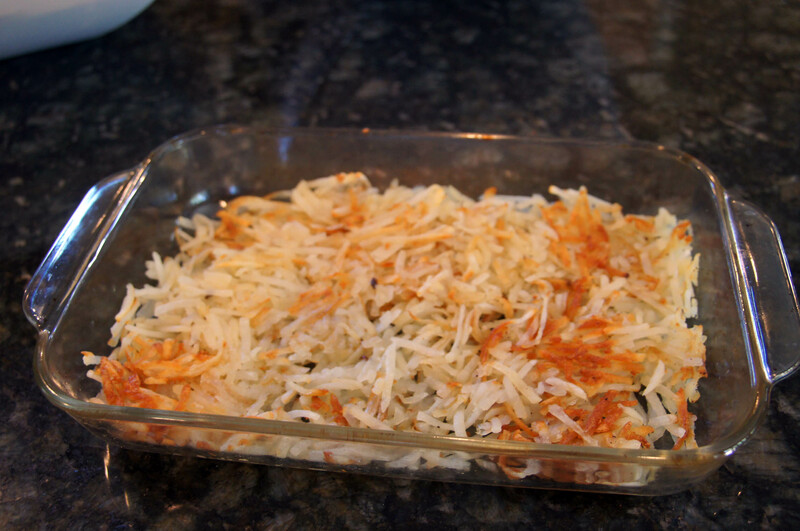 Heat oil and add shredded potatoes. This looks really good, Shari! 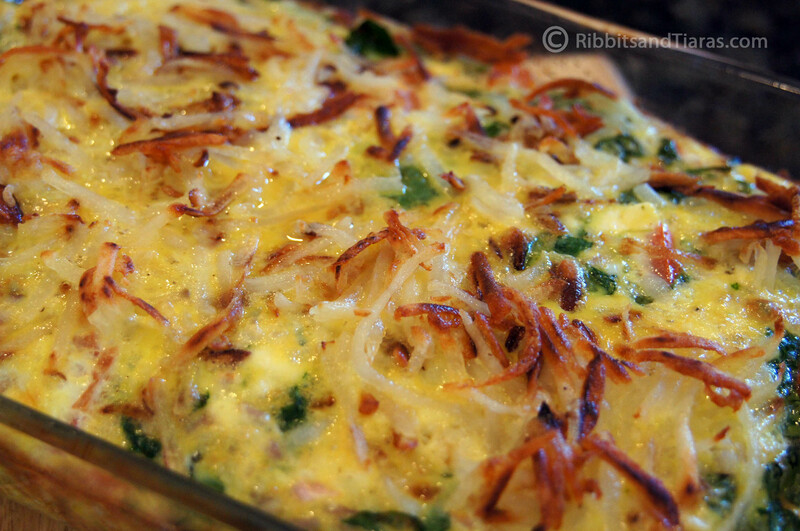 I love breakfast casseroles. The spinach, mushroom, and feta sounds great, too. I have company coming in April, and this is just the type of recipe I need. Thank you. You are welcome! You can really add any combo of stuff that you like. So yummy! Bacon is always good too! Looks delish! Im going to add mushrooms and bacon. Perfect for tomorrows Mother’s Day Brunch!